Zombie urbanism and the city by the bay: What’s really eating Geelong? Its first issue launched in late 2013 (dated March 2014), the Journal of Urban Cultural Studies (JUCS) is a peer-refereed, international journal that blends humanities and social-science approaches to the culture(s) of cities. Its pages are devoted to rigorously argued research centered on urban themes that attempts to fuse urban studies- and cultural studies-perspectives. Articles give more or less equal weight to: a) one or more aspects of urban studies (everyday life, built environment, architecture, city planning, identity formation, transportation…) and b) one or more specific forms of cultural (textual) production (literature, film, graphic novels, music, art, graffiti, videogames, online or virtual spaces…) in relation to a specific urban space or spaces. The journal is open to studies that deal with culture, urban spaces and forms of urbanized consciousness the world over. Research Articles of 7,000-10,000 words (including works cited and notes) should be sent by email attachment to the Editor. We also publish Short-Form Articles of 2,500-4,000 words in a variety of formats (interviews, assessments of the field, general and theoretical musings…). JUCS is also open to proposals of special issues by guest editors working individually or in teams of two. All citations in other languages should be translated into English for the journal’s international reading public. While we do not publish single book reviews, we do encourage review essays—which should discuss 3-5 recent books on a shared topic or theme (or place) and run from 2,500 to 4,000 words. These essays will be reviewed in house. We also are interested in publishing original (unpublished) artwork on the topic of cities. Send an initial inquiry to the journal editor with the images you would like to publish. Final images will have to be sent as high-resolution files. In recent years, cities have been increasingly at the forefront of debate in both humanities and social science disciplines, but there has been relatively little real dialogue across these disciplinary boundaries. On the one hand, journals in social science fields that use urban studies methods to look at life in cities rarely explore the cultural aspects of urban life in any depth or delve into close-readings of the representation of cities in individual novels, music albums/songs, graphic novels, films, videogames, online ‘virtual’ spaces, or other artistic and cultural products. On the other hand, while there is increasing discussion of urban topics and themes in the humanities, broadly considered, there are very few journal publications that are open to these new interdisciplinary directions of scholarship. This means that scholars in Language and Literature fields are forced to submit their innovative work to journals that, in general, do not yet admit the link between humanities studies of the representations of cities and more social-science focused urban studies approaches. 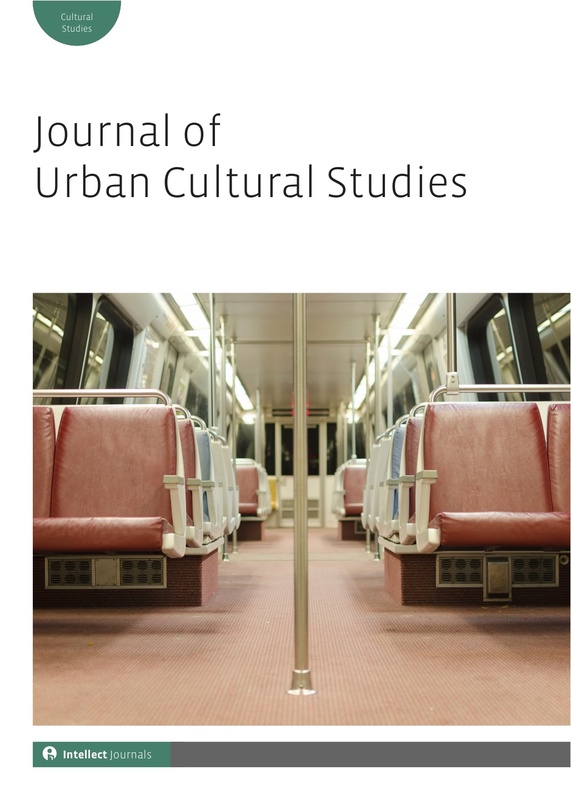 The Journal of Urban Cultural Studies is thus open to scholarship from any and all linguistic, cultural and geographical traditions—provided that English translations are provided for all primary and secondary sources citations. Articles published in the journal draw equally from both the humanities and the social sciences in order to better understand the culture(s) of cities. Although the journal is open to many specific methodologies that blend humanities research with social-science perspectives on the city, the central methodological premise of the journal is perhaps best summed up by cultural studies-pioneer Raymond Williams—who emphasized giving equal weight to the “project (art)” and the “formation (society).” Essays will be sent out for peer-review that achieve some balance between discussing an individual (or multiple) cultural/artistic product(s) in depth and also using one of many social-science (geographical, anthropological, sociological…) urban approaches to investigate a given city. Essays will ideally address both an individual city itself and also its cultural representation. The blog urbanculturalstudies.wordpress.com is another way to keep up with the Urban Cultural Studies community and find out about upcoming events, new books and publishing opportunities. See our podcast series here. Looking wonderful! It is tremendously exciting to be involved! I don’t see publisher information; does this mean it will be open-access? I’m keeping my fingers crossed. Another open-access journal would be fantastic! Your venture sounds very exciting and I look forward to its commencement. Thanks so much UCS for linking up – I’m very interested in this area and look forward to seeing contributions to your new journal. Defining identity through urban culture is a particular interest of mine plus seeing how we respond to personalise our urban environment. Returning to Melbourne after a long stay in the UK – pockets of culture are more noticeably expressed at a simple and very personal level and often with very wry humour. What is the deadline for sending a paper? Eileen, we accept papers on a rolling basis. You can send it to the journal email address.